What’s your latest DIY project? Care to share? Show off by linking up below. Share to inspire others. Pin and save from the original source to collect ideas. Let’s see your creativity! See all of the past DIY link parties for more inspiration! This past week I shared some progress with the #helloredreno makeover in the works. Sealing some exposed decorative original brick in the upstairs bathroom. 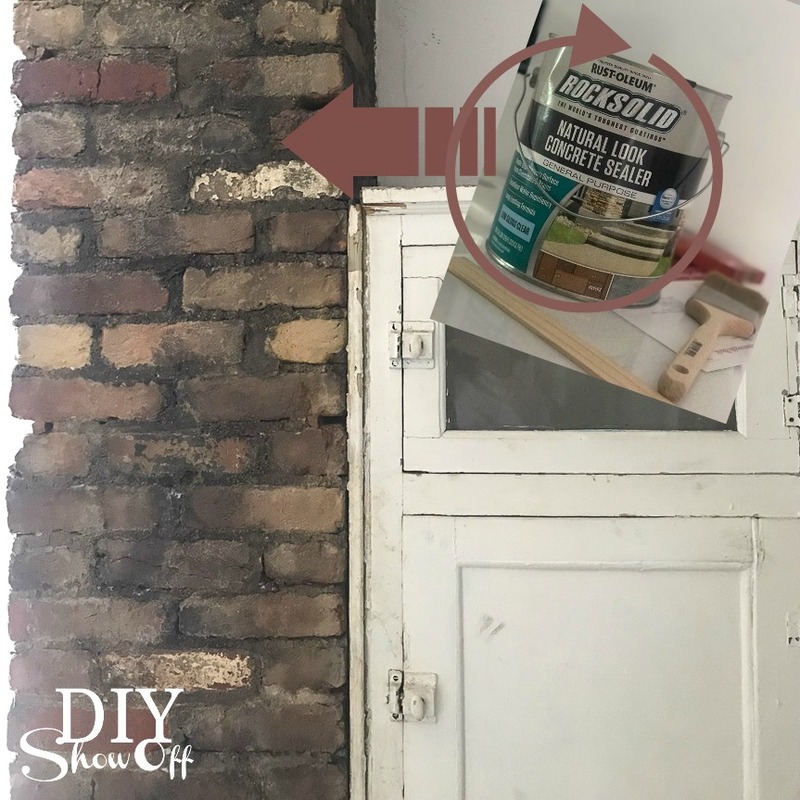 Pop over to check out that before photo and the progress from when everything was enclosed in painted cardboard! How is it that August is nearly here? Summer is my favorite season and there’s still so much I want to pack in! Wishing you a week of productivity and summer fun!